The Resilient Fisheries RI network is a decentralized communication platform open to all participants in Rhode Island's commercial fishing industry. By providing channels for participants to assemble new information, identify gaps, and explore new thinking, the network supports the capacity of the fishing industry to confront new challenges, tap into new opportunities, and pool together our collective power to advance strategies that bolster our resilience to change. The network does not speak with a single voice or advocate for positions. Instead, it enables fishing industry participants to leverage the benefits of coordination autonomously, by providing a toolset for the co-creation of active lateral communication and a shared ethos of collaborative problem-solving. The Resilient Fisheries RI List-Serv is the Network's primary online communications tool. The List-Serv's purpose is to provide a convenient forum for members of Rhode Island commercial fishing industry to discuss broad topics relevant to the industry's collective well-being and future. To view the List-Serv ground rules, view current List-Serv members, and request to join the list-serv, click on the button to the right. There is no substitute for face time when coming to grips with complex issues. During the initial Resilient Fisheries RI project (2015-2017), a culture of social problem-solving emerged as a core part of the Network's modus operandi. As the Network reorients itself towards implementation of the Blueprint for Resilience, it will continue to build on this culture of face-to-face interaction as a basis for sustained collaboration. Opportunities for in-person interaction are posed on the Calendar. What you say to one network member, say to all. The Network is premised on the idea that sharing knowledge and oppor-tunities for engagement among all industry members can make us all more effective promoters of fishing industry resilience. All fishing industry participants are welcome. The Network is premised on the idea that everyone in Rhode Island's fishing industry has a role to play in promoting resilience, so everyone should be part of the conversation. What happens in the Network stays in the Network. The Network is premised on the idea that fishing industry participants benefit from having a private discussion space to call their own. No one may use your words without your permission. It's an open-source platform; issue entrepreneurs welcome! Anyone with a good idea can build on the good ideas of those who have come before. 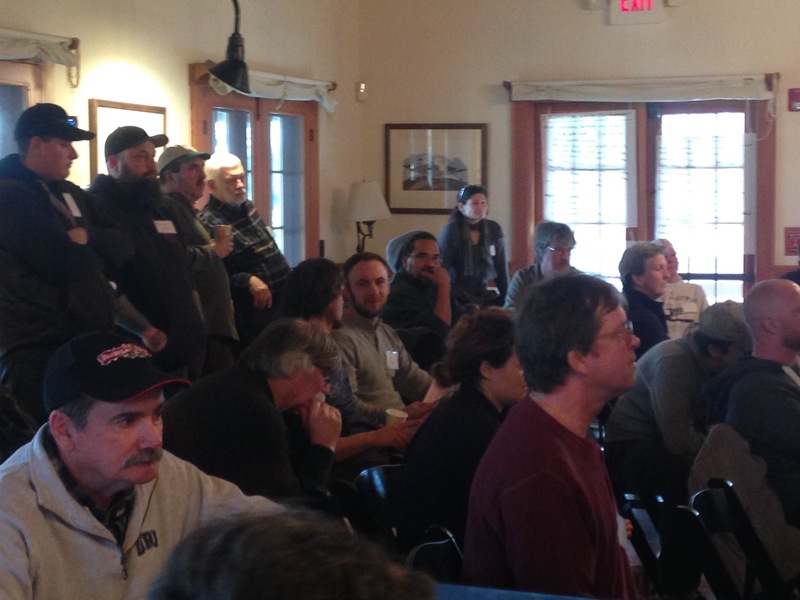 No one owns the Resilient Fisheries RI Network. Do you have an idea to build resilience? Use the Network to bring it to life! The network has no leaders, only stewards. There is no hierarchy in the Network. The most active participants are simply active, not authoritative. If you feel left out, get more involved. It's up to everyone to nurture the Network and keep it going. Finding and reinforcing common ground. Fishermen have many differences. The Network is for identifying what we have in common and agreeing to work on it together. It won't neutralize conflict, but will help distinguish disagreements from common causes.